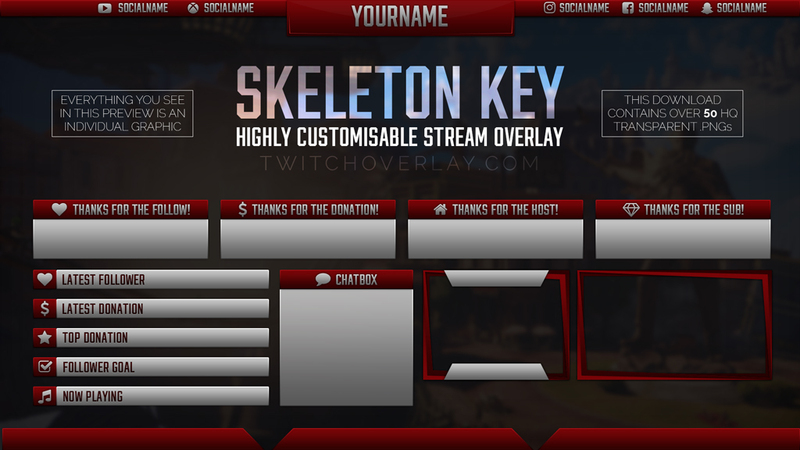 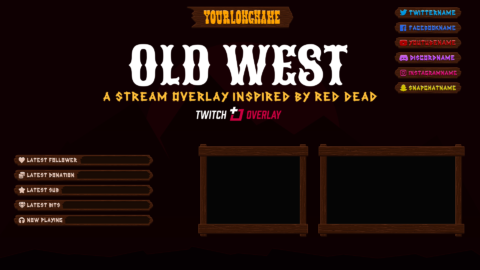 Skeleton Key is a flexible stream overlay with huge amounts of configuration potential, and now it’s supported by a metal red stream package with matching Stream Screens, Profile Graphics, Profile Banner and Avatar. 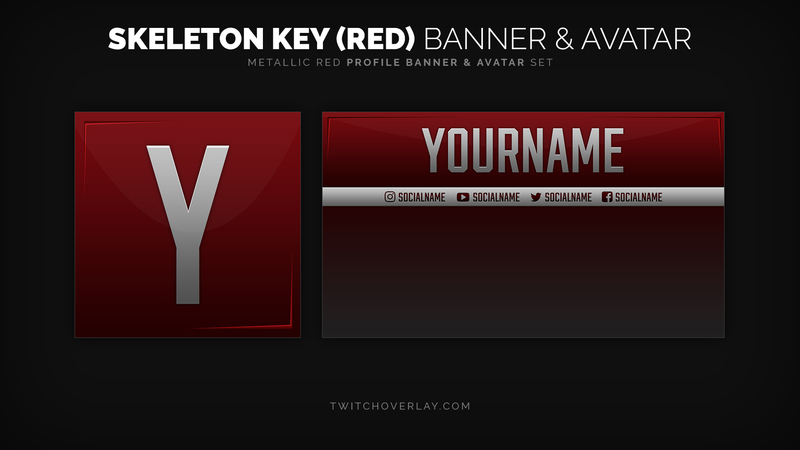 These designs feature a slick, professional, metal red finish, and a strong, narrow text for better space consideration. 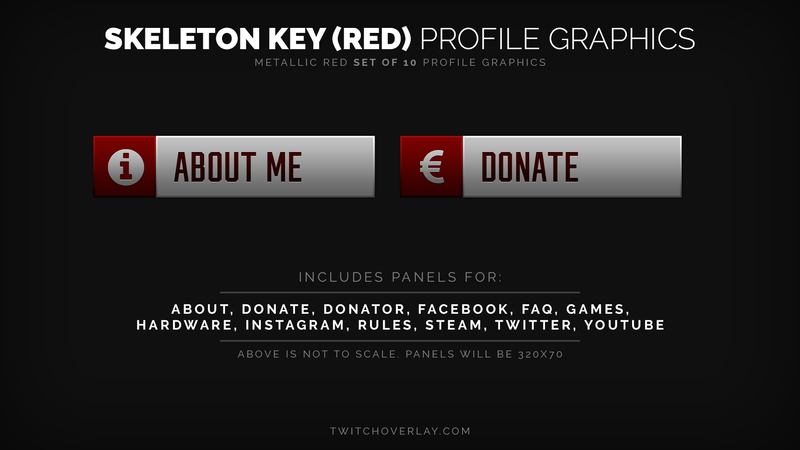 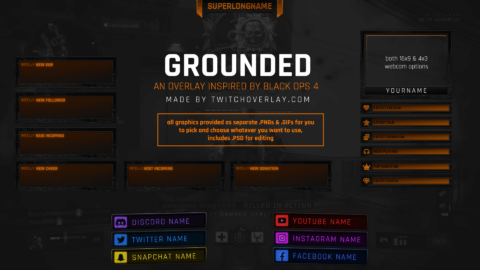 Profile Graphics – Set of 10 profile panels/headings, including “About”, “Donate”, “Donator”, “Facebook”, “FAQ”, “Games”, “Hardware”, “Instagram”, “Rules”, “Steam”, “Twitter”, and “YouTube” panels. 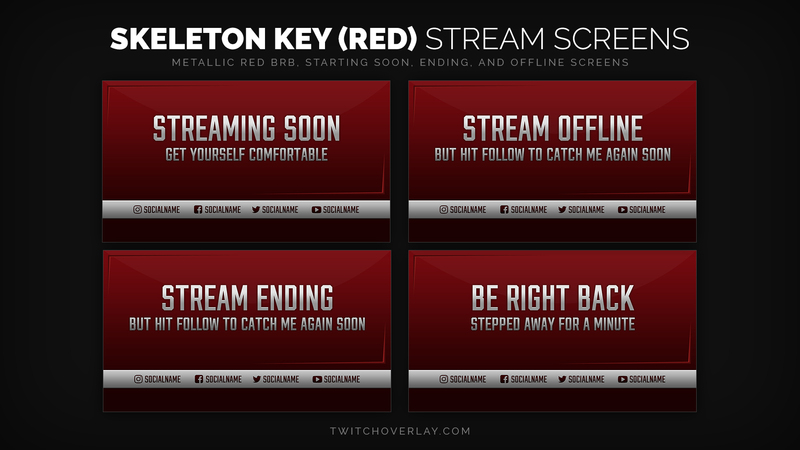 Stream Screens – Set of 4 transition screens including “Be Right Back”, “Streaming Soon”, “Stream Ending”, and “Stream Offline” screens. 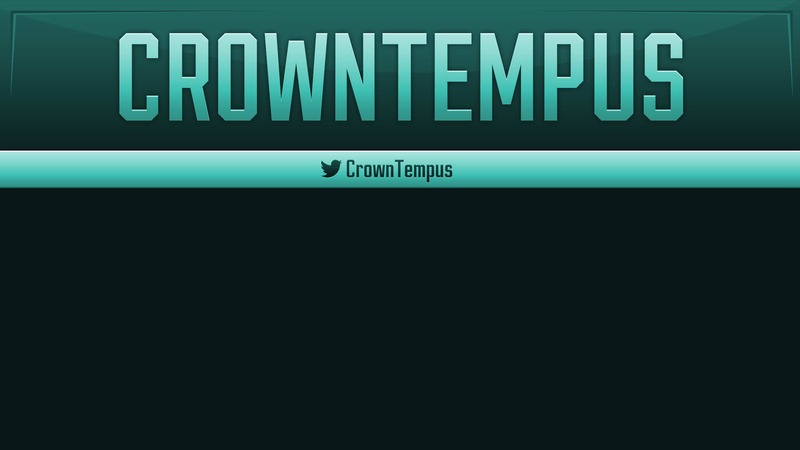 If you’re unsure of the exact contents of this package, please see the Download Contents box opposite for a full run-down. 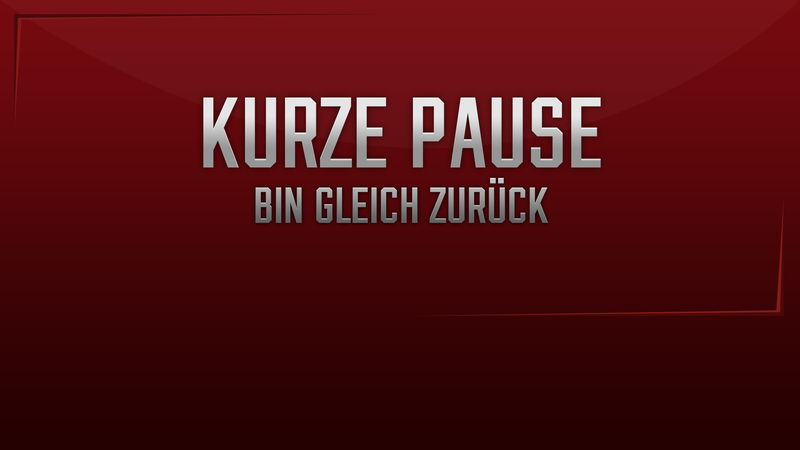 You provide the translations, and we'll add them for you! Unpersonalised. 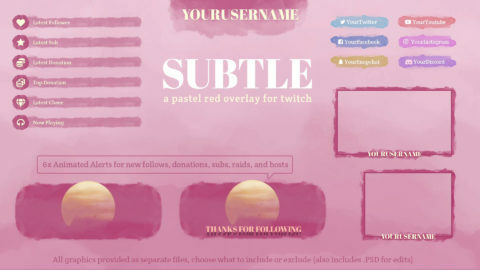 Intended for those with basic Photoshop knowledge, or not concerned with personalising the files included.